The new PlayStation Classic will be released exactly 25 years after its debut. 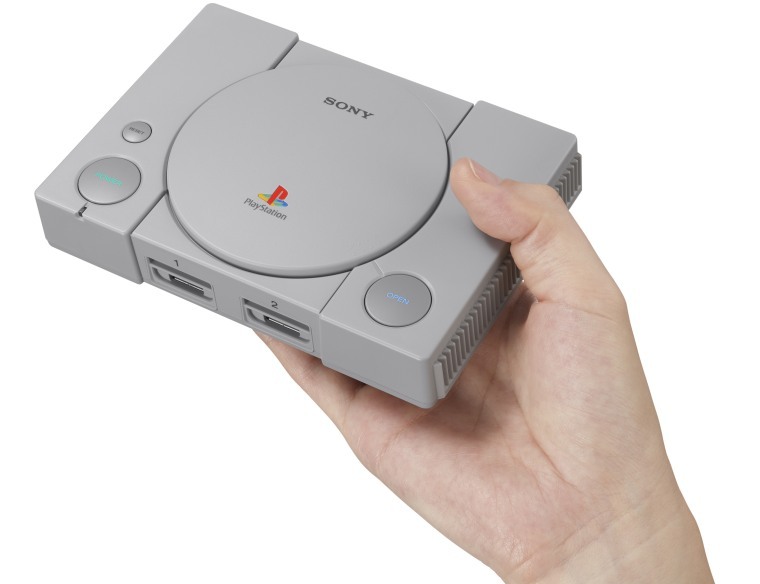 PlayStation fans and those with serious 1990's nostalgia rejoiced Wednesday as Sony announced that they will be relaunching a new iteration of the original PlayStation called PlayStation Classic. The gaming console, which Sony Computer Entertainment says will be a “new miniaturized version” of the original, will come preloaded with 20 classic titles. According to a company press release, these titles will include "Final Fantasy VII" and "Tekken 3," with more announcements to come in the following weeks. Only five titles have been made public so far. The newest iteration of the retro classic will be available for $99.99 in the U.S. starting on Dec. 3 — exactly 25 years after the original PlayStation was launched in Japan, according to the release. “Long-time fans will appreciate the nostalgia that comes with rediscovering the games they know and love, while gamers who might be new to the platform can enjoy the groundbreaking PlayStation console experience that started it all,” wrote Eric Lempel, Senior Vice President of PlayStation Worldwide Marketing, on the PlayStation blog. The PlayStation Classic will now have a USB and HDMI port so that users can plug the device in just about anywhere. But one omission is the absence of controller thumbsticks, which became the norm after their 1997 introduction. Al DeLeon, Senior Director Hardware and Network Public Relations for Sony Interactive Entertainment, told NBC News that part of the decision to release the console was so that younger gamers could experience the PlayStation in its original format. Since the announcement, fans around have taken to Twitter to express their reactions. “Just having the novelty of a small PlayStation 1 and some of the best games will bring that nostalgic feeling back even more,” said Jay Bari. “The PlayStation classic is going to be godlike, but it would be EXTRA GDLK if they have 3 games that I personally want there. Lunar Silver Star Story, Final Fantasy,Battle Arena Toshiden 2,” tweeted Justin Wong, gamer for Echo Fox, an ESports organization. The PlayStation classic is going to be godlike but it would be EXTRA GDLK if they have 3 games that I personally want there. What games do you want to see on there? But there are also others who tell NBC News they will be saying, “No, thanks” to the retro classic come December.